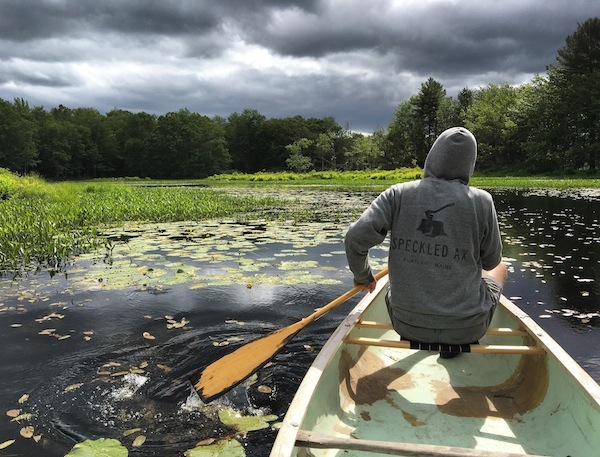 As we made our way toward mid-June and still hadn’t been camping a trip to Maine Forest Yurts seemed like the perfect way to enjoy a night away without much effort. We hadn’t been before, but had received a gift certificate for Christmas and were eager to check it out. Less than an hour away from South Portland, it was the perfect combination of being not too far away, while still feeling like we were completely removed from our every day lives. 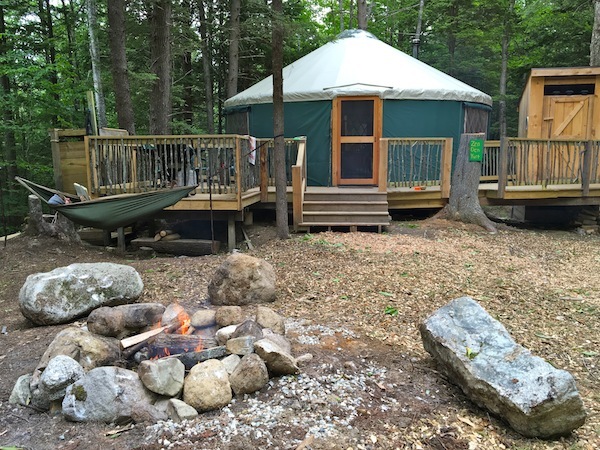 Located in Durham, Maine Forest Yurts is easily accessible from both Southern and Midcoast Maine. If camping isn’t really your thing, or you’re looking for a little more luxury than setting up a sleeping bag on the ground, this is a fantastic place to really get away from it all without giving up the comforts of more modern accommodations. There’s a fully functional gas stove, solar powered lighting, water provided for washing dishes and showering, and an outhouse right outside the door. We stayed in The Zen Den, the newest of the property’s three yurts, which can easily accommodate up to six people. It even had that “new yurt” smell to remind us that we were lucky to be visiting during its first few months of life. Maine Forest Yurts is run by the Crowley family. We had the pleasure of working with Page to coordinate our visit, and had the chance to meet her when we arrived. We were over-prepared for our one night visit, so having her meet us to transport our things to the yurt was a wonderful perk. She was quick to respond both before we arrived and after we’d left (when I thought I’d forgotten my wallet there). Page’s father Bob Crowley is a winner of the TV show Survivor, and Maine Forest Yurts began hosting the Durham Warriors Survival Challenge in 2013. It’s a Survivor-themed competition that takes place each summer and raises money for the Durham Warriors Project, a non-profit that covers the costs for veterans, active duty military, and other deserving families to stay at Maine Forest Yurts. This year’s event is happening this weekend, with contestants making their way to Durham from 13 different states to compete. If you’re in the area, I’m sure this would be a fun event to attend, and it supports a great cause. Reading the Zen Den’s guest journal, we learned that visitors don’t shy away from staying year round. In colder weather, snowshoes are available and the yurts are heated by wood stoves. As we settled in for our windy, drizzly night, I imagined how cozy it would be if there were snow falling outside, and if we don’t have a chance to visit again before then, this is high on my list for a winter getaway next season. 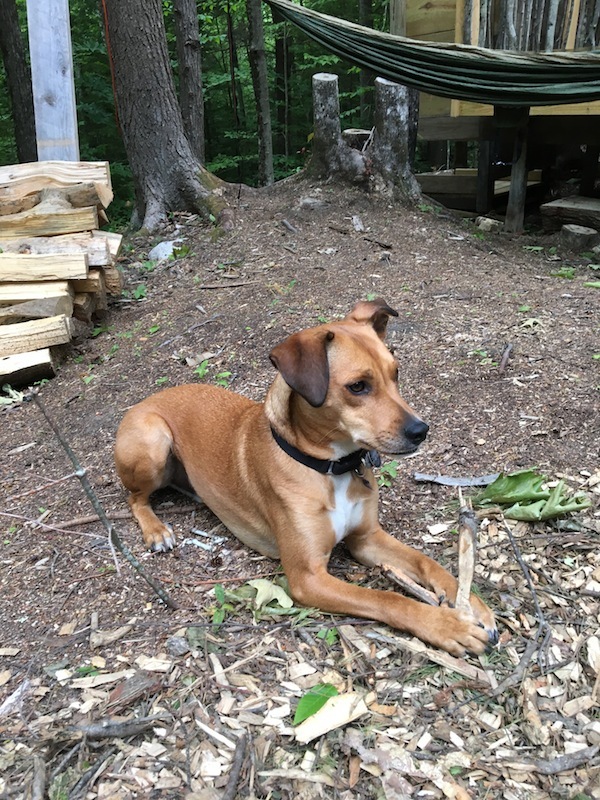 *An added perk for us – Maine Forest Yurts is pet friendly, and Copper had the time of his life, running through the woods, chasing after chipmunks, and just generally enjoying some free time outdoors.